The president’s man in Tehran was feeling the pressure and needed reassurance. On 12 January 1979, General Robert “Dutch” Huyser wrote to Harold Brown, US secretary of defense, and General David Jones, chairman of the Joint Chiefs of Staff, to make sure he knew what they wanted him to do. “In my conversation with Secretary Brown the night of January 11, 1979, there seemed to be some doubt in your mind as to my understanding of US policy and my instructions,” Huyser wrote in a cable. “I believe I thoroughly understand and I am following them to the letter.” Huyser then outlined point by point his terms of reference as he understood them. The Huyser cable is part of a trove of declassified US government documents that relate to the so-called Huyser mission, undertaken by the Carter administration at the height of the Iranian revolution. Thirty-six years later, many Iranians still believe Huyser was sent to Tehran to neutralise the Iranian army as part of a deal to put Ayatollah Ruhollah Khomeini in power. The Americans, they say, naively thought Khomeini, an anti-communist, would protect their interests in the Persian Gulf after the Shah’s departure. US officials from the time insist no such plot existed. They deny allegations of undermining the shah or that Huyser’s mission constituted interference in Iran’s sovereign affairs. But the absence of evidence has encouraged conspiracy theories. Now, release of the Huyser cable allows us to read in the general’s own words what he and his handlers believed were his orders. For the first time we can see what President Jimmy Carter and his national security team hoped to achieve. Far from showing evidence of a well-oiled conspiracy, the document reveals an astonishing lack of awareness on the part of US officials trying to manage events thousands of miles away that they had failed to understand from the start. General Huyser arrived in Tehran on 7 January, four days after Carter decided to send an envoy. The president and his advisers had been shocked at the speed of events as a year of protests against the shah’s 37-year reign had exploded into revolution. The Americans accepted the shah was finished, and supported his decision to transfer power to a new civilian administration, led by Shapour Bakhtiar, before leaving for a long “vacation” likely to mean exile. The White House was also aware of nervousness in the ranks of the Iranian military. The shah’s senior generals predicted the army would collapse in the absence of their commander-in-chief – so for many of them it seemed better to seize power quickly than wait for a revolutionary bloodbath. President Carter had won election on a platform of support for human rights. 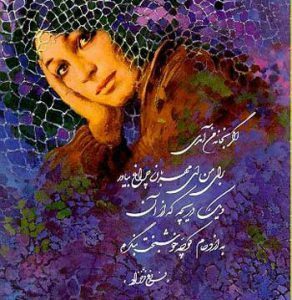 Once in office he had pressed the shah to release political prisoners and liberalise his regime. With that in mind, he was hardly about to order a repeat of Operation Ajax, through which the CIA had in 1953 helped restore the shah to his throne after an earlier bout of civil unrest. But neither could Carter afford to “lose” the country that guarded the approaches to all the oil fields of the Persian Gulf. Huyser, deputy commander of the Supreme Allied Command in Europe, was the obvious candidate. He had made several trips to Tehran over the previous year advising the shah and his generals on how to improve decision-making in the armed forces. Carter selected Huyser because he believed the general retained the confidence of both governments. Such was the mission’s sensitivity that US officials were reluctant to give Huyser written orders. When he protested – Nato commander General Alexander Haig had warned him the White House would scapegoat him if his mission failed – Huyser was given only what he later described in his memoir as a “draft” text whose instructions “were basic and incomplete.” After four days in Iran, Huyser sought clarification. In his 12 January cable, Huyser told Secretary Brown and General Jones he believed the president wanted him to relay six points to the Shah’s generals. First, it was vital for the US and Iran “to have strong and stable government ties”. Second, Carter was “deeply impressed” with the Imperial Iranian Armed Forces. Third, the president believed “the best interests of all can be realized by a strong and stable civilian government”. Fourth, Bakhtiar’s new civilian government “must have the full support of the military”. Fifth, this support “can only be achieved if military leaders stick to their jobs”: they should not leave the country and they should “work as one team”. Sixth, the US government “from the president on down remain strongly behind them”. But Huyser knew Carter and his advisers had not ruled out US support for a coup. Within the cabinet there had been a split between Zbigniew Brzezinski, the national security advisor, who supported immediate action and Cyrus Vance, the secretary of state, who opposed a coup at all costs. Support for a coup depended on three conditions. First, Bakhtiar had to be given a chance to exert his authority. Second, if the internal situation worsened he might declare martial law and call out the army to restore basic services like running the oil fields or maintaining the power grid. Huyser’s mission was doomed, not least because the White House had failed to inform the shah that an American general had been dispatched to provide unsolicited advice to Iran’s senior command. This astonishing breach of protocol enraged Ardeshir Zahedi, Iran’s ambassador to the US, who told me in 2012 he urged the Shah to have Huyser arrested and deported. The shah had good reason to be alarmed. 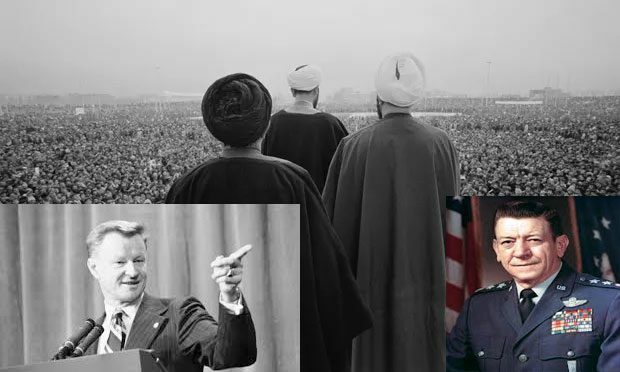 He knew US ambassador William Sullivan had made discrete contact with Khomeini’s representatives in Tehran and was involved in negotiations for the ayatollah’s return from exile. Sullivan’s failure to consult the White House before taking this drastic step led to confusion among the Iranians over US goals. How close were the shah’s generals to taking action? On 13 January 1979, Lieutenant General Amir Hossein Rabii, commander of the Imperial Iranian Air Force, met General Huyser to report on his meeting earlier in the day with the heads of the army, navy and gendarmerie. According to Huyser – who immediately briefed his superiors in Washington – Rabii said he had spoken in favour of a coup as soon as the shah’s plane would leave the ground because, as Brown put it in a memo for president Carter, “the military could come apart rapidly otherwise”. Rabii and the other generals were distressed at the thought of what might happen to them if Khomeini took power. Unlike the Americans, they were well aware of Khomeini’s threats of vengeance. The end caught everyone by surprise. On 10 February fighting erupted at Tehran’s Doshan Tappeh air force base and within 24 hours the revolutionaries held important government installations around the capital. Royal resistance collapsed when the shah’s senior generals declared their neutrality and ordered their troops back to base. The Americans realised they had left it too late. The delay proved fatal for General Rabii and his colleagues. They were seized, tortured and later shot.